Jill Lepore is a Harvard historian, a New Yorker contributor, and the author of These Truths, a dazzling one-volume synthesis of American history. She’s the kind of history teacher everyone wishes they’d had, able to effortlessly connect the events and themes of American history to make sense of our past and clarify our present. “The American Revolution did not begin in 1775 and it didn’t end when the war was over,” Lepore writes. This is a conversation about those revolutions. But more than that, it’s a conversation about who we are as a country, and how that self-definition is always contested and constantly in flux. And beyond all that, Lepore is just damn fun to talk to. Every answer she gives has something worth chewing over for weeks. You’ll enjoy this one. How whiteness distorts our democracy, with Eddie Glaude Jr.
Vox takes culture seriously. Our coverage of movies, TV, books, and music delves deep into what our cultural touchstones reveal about who we are and what we care about — and how what we consume influences our world in turn.That's why I'm so excited to introduce you to Switched on Pop. It's a podcast that digs into both the musical theory and the cultural context of pop music, and it's now part of the Vox Media Podcast Network. As a big fan of the show, I wanted to introduce you to the hosts, Nate Sloan and Charlie Harding. In this bonus episode you'll hear some of their favorite interviews, as they pull back the curtain on how pop hits work their magic. Subscribe to Switched on Pop wherever you get your podcasts. The Democratic Party is quickly coalescing around an ambitious Medicare-for-All platform — and Rep. Pramila Jayapal (D-WA) is shaping up to be a major voice in that debate.Jayapal co-chairs the Congressional Progressive Caucus and, earlier this week, released a sweeping new plan for single-payer health care in the United States. Her proposal is arguably the most ambitious we’ve seen yet. It envisions a wider set of benefits and a much quicker transition to government-run health care than the plan offered by Sen. Bernie Sanders (I-VT).Vox Senior Policy Correspondent Sarah Kliff, who is filling in for Ezra, sat down with Rep. Jayapal to walk through how this Medicare-for-All plan came together. We get into why Rep. Jayapal thinks it’s possible for the United States to move to government-run health care in just two years, and which countries’ health systems she thinks of as good models for where the United States should head.In this conversation, you’ll get a sense of Rep. Jayapal’s theories of governing, how they differ from those of Obama-era Democrats, and why she doesn’t think she needs buy-in from the powerful hospital and insurance lobbies to pass new legislation. Why should we care about deficits? 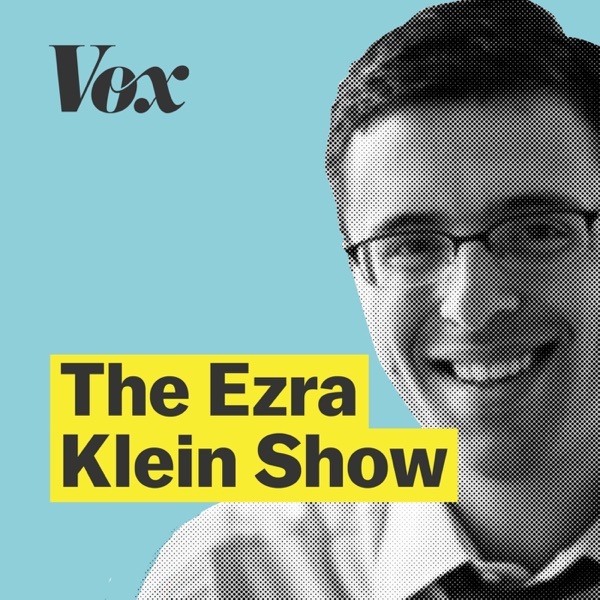 To celebrate The Ezra Klein Show's third anniversary, I’m listening back to the very first episode: a conversation with Rachel Maddow. Rachel is, of course, the host of MSNBC's primetime news show and a best-selling author. But she took a winding path to cable news — a path that included scheming to disrupt skinhead rallies, radical AIDS activism at the height of the plague, a gig as a sidekick on drivetime morning radio, and a stint at Oxford as a Rhodes scholar. We talk about all of that in this conversation. We also cover our shared love of dogs, Rachel's favorite graphic novels, and why part of her show preparation process is to avoid reading op-ed columns.